How to wash sneakers to get rid of unpleasant smell? 2 How to eliminate stink from shoes? 3 How to properly and efficiently wash your sneakers by hand? Many people are faced with the problem of not a pleasant smell emanating from shoes and, as a result, feet too. Therefore, to know how to wash sneakers, so that everyone should not stink. This necessary skill will help keep your feet healthy, avoid illnesses and relieve embarrassing situations when you need to take off your shoes while away. Before you wash your shoes so that there is no smell, you need to understand the reason why this happens. This will minimize the problem and washing the sneakers will be effective. The first thing you need to learn how to choose shoes. It is better to spend more time searching for comfortable shoes, this is very important, as uncomfortable and tight shoes lead to the fact that the leg is sweating much more. It is also important to choose shoes that will be ventilated. Not a small role is played by the material from which it is made. 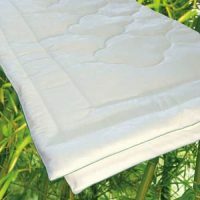 One of the popular materials is synthetic, but they are completely unsuitable for this. It is also important to choose the right socks, as some materials, such as cotton, can partially absorb perspiration. Also, if you have problems with excessive sweating of the feet, then choose socks for running, they are best suited. Even if you wear shoes with heels, wear socks, there are special ones that will not be visible over the shoes. How to eliminate stink from shoes? Another reason that strongly contributes to the fact that shoes start to stink is the bacteria that live on your feet, most often it is fungi. Because of the sweat and heat in the shoe itself, the infection gets excellent soil for development and reproduction. That is why you need at least a day to wash your feet with antibacterial or anti-fungal soap. After that, the feet should be sprayed with deodorant. It is best to buy a separate leg. It is necessary to process mainly the sole and the areas between the fingers. The systematic nature of such procedures will affect the condition of the shoes after wearing, so it will smell less. The insole in the shoes is also an important detail, it needs to be changed, since the main part of the sweat goes on it and there is always a large accumulation of harmful microorganisms all over its surface, causing the corresponding smell. To get rid of harmful microorganisms will help freezing in the freezer. Leave your shoes in the freezer for the night; low temperatures can kill almost all microorganisms. Treat the inside of your shoe with soda, leaving it for a few hours, and before putting it on, knock one shoe against the other to shake off the remaining soda. Soda, as you know, is used in many cases to eliminate odors. Let your shoes breathe. This will help eliminate the stench or leave in the winter in the garage or in the car shoes, at least for one night, ideally for a couple of days. If you need to wear it, put it in a warm room, and wear it when the shoes are at room temperature. And, of course, do not forget about the fresh socks with materials that help absorb moisture. Another way to get rid of the stench of shoes is possible thanks to cedar insoles. This wood has anti-fungal properties, it is often used to deodorize all types of clothing. How to properly and efficiently wash your sneakers by hand? Almost all manufacturers of sneakers and ballet shoes indicate that such things need to be washed exclusively by hand. This is due to the materials used in the manufacture. Some parts, such as meshes, stripes and other rather delicate components, can be damaged or damaged when washed in a typewriter. Before you wash the ballet shoes, so that they do not stink, you need to get the insoles out of them, and from the sneakers also get the laces, soak them in detergent, you need to do this separately from the shoes. The shoes themselves, in case it is dirty, must first be cleaned of debris on the sole. For this match, ear sticks will do, other objects can also be used. All you need to then rinse under running water. In order that the appearance of the shoe does not deteriorate as a result of washing, lower it into a basin with warm water, the temperature of which should not be lower than 30 degrees. Powder dissolves perfectly in such water, leave them in a container for several minutes. For high-quality washing, use a brush, it will help to eliminate the remnants of dirt, wash and rinse shoes and then under running water. Before you wash your shoes, so as not to stink, add a little detergent to the basin with the dissolved powder, this will increase the effect. For white sneakers are great liquid detergents, but for leather shoes not quite suitable. It is better to wash it in a diluted soap solution. As for shoes made of synthetic, it is better to wash it using, for example, household or other types of soap. A suede products can not be washed at all, so they use special cleaning products that do not require immersion input. Returning to the topic of lace, like to wash the laces from sneakers, after soaking with insoles, take some kind of brush, a toothbrush that you no longer use for its intended purpose is perfect. Wrap the cord on the fist and brush it with a detergent, you can simply wash it with soap. If you squeeze and unclench your hand during the washing process, they will be more thoroughly cleaned. After that, rinse well and rinse with water. If the laces are not very dirty, then you can not soak them beforehand, but start washing immediately, and if pretty soiled, then it is better to soak them for half an hour. 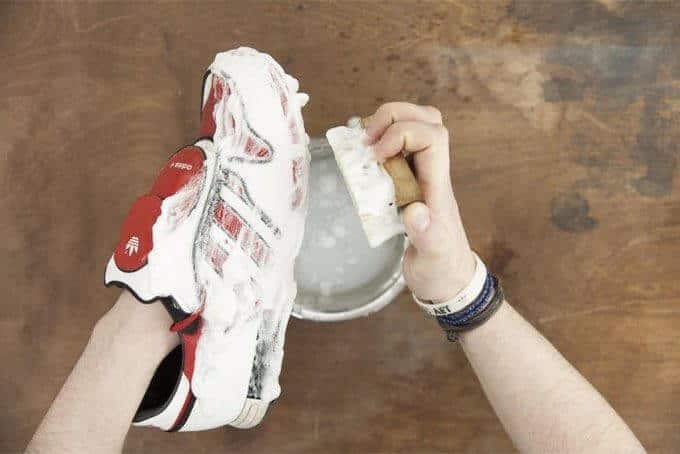 How and what to wash sneakers, so as not to stink, it seems to be clear, but you still need to dry them. To do this, place the shoes in a ventilated place, you can on the balcony, wipe the shoes with a paper towel and put the crumpled newspapers inside. Keep in mind that this tip is not suitable for white sneakers, as newspaper paint can spoil the look, leaving the paint on the fabric. And in the shoes of other color ranges, just change the absorbing paper to a new one after getting wet. Paper helps not only to dry shoes faster and with better quality, but also helps to keep it in the correct shape. Drying on the battery is not recommended, as sneakers can be deformed, and there will be spots, stains and other visual imperfections. The hair dryer also has a negative effect, as it dries not uniformly, but as a result, deformation. Drying the laces is best in the open space where the wind blows, again, the balcony is perfect. If there is absolutely no time to eliminate the unpleasant smell, put a napkin about the inside of a shoe dipped in vinegar and leave it for a while in the sun, the smell will go away. Take care of your shoes properly, it will help her toe out longer, and save money and health. I usually get rid of the smell in the shoes. Personally, I first completely untie the cross-pieces and take out the insole, after all this soaking in powder, there was no unpleasant smell. With the onset of the warm season, this problem becomes urgent. Soda really perfectly removes the smell. And as for washing, I do it in a washing machine. I take out the shoelaces, put a pair of shoes in a special laundry bag and run the mode at 30 degrees for the duration of 30 minutes. The result is good. Here the truth dries the shoes long enough. I'll try the paper option. I treat the shoes with hydrogen peroxide, then I wash and dry, the unpleasant smell disappears. I take them apart more, that is, I take out the laces and the insole, and then I soak them in a basin, after which, as I understand it, the smell goes away, and then I brush it to the last with a brush.